Looking back over notable, M2M/IoT corporate initiatives in 2017, mobile network operators (MNOs) and technology vendors were the two most active groups in the industry eco-system. The main feature amongst MNOs was market expansion into new geographies. Sometimes, this happened individually; more often, it took the form of partnering with other network operators. This is a classic growth model for the mobile operator community. 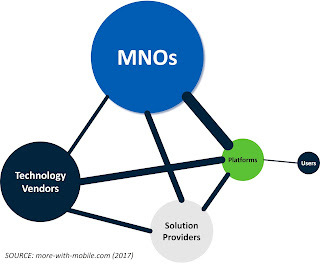 In the technology vendor community, leading initiatives took the form of: acquisitions/investments; partnering (with MNOs, platform providers and system integrators); and, product innovation. In comparative terms, activity among platform organizations was subdued. And, end-users barely featured among 2017 initiatives. It is likely that these last two data points mask a higher level of internal activity targeting operational scaling and in-house developments as firms solidify their foundations in the IoT market. As an example, Altair, a provider of engineering software to enterprise customers, acquired the Carriots IoT platform. This initiative illustrates the trend to internalize IoT capabilities and has parallels with the earlier acquisition of ThingWorx by PTC . Across all initiatives, acquisitions and investments (with an 80:20 weighting in favor of acquisitions), representing 30% of corporate events were marginally ahead of partnering at 26%. The data points for technology launches and product innovation are encouraging. They hint at businesses using organic strategies to drive growth and competitive differentiation. The sequence of corporate initiatives kicked off in January 2017 with Intel taking a 15% stake in HERE, the automotive and transportation sector map-technology and platform company. Intel also signalled its IoT intent by committing to invest $100m into IoT, targeting the retail sector. Later in January, another large US technology corporation, Cisco, announced a continuation of its IoT drive via a $3.7bn acquisition of AppDynamics. AppDynamics’ offerings span application, end-user and infrastructure monitoring to help businesses ensure that their apps are functioning properly and to monitor end-user interactions. During Q4, another large US technology corporate, Dell, announced plans to create a new IoT division and invest $1bn in related R&D. 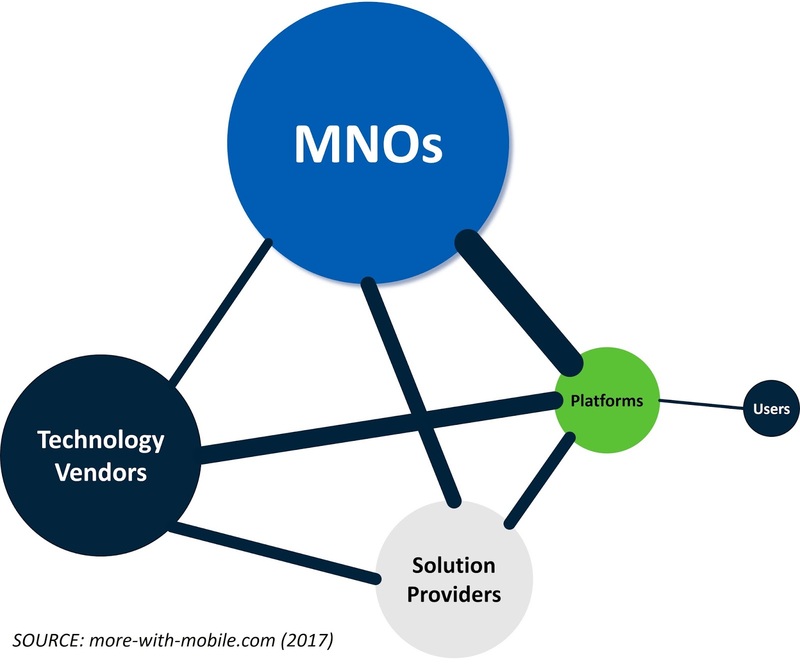 Over the course of the year, there were several competitive initiatives that appear to relegate the role of MNOs in the service delivery value chain. Nokia, for example, entered the connectivity fray through the launch of its WING business unit. This is based around an IoT network grid, effectively a ‘one-stop-shop’ for seamless IoT connectivity across technologies and geographical borders and targeting the transport, health, utilities and safety markets. TATA Communications acquired a 35% stake in the Netherlands-based MVNE, Teleena, to build on its global, MNO partnerships and offer enterprise customers a global mobility capability. Finally, Software AG acquired Cumulocity, a connectivity and IoT device management platform, to complement its Digital Business Platform software portfolio and solidify its interface with enterprise, IoT-adopter customers in the IoT market. The theme of seamless IoT connectivity, highlighted by Nokia WING, played out in other initiatives, lower down the value-stack, notably in network and technology-related layers. Examples included these developments: Telefonica integrated SigFox’s solution into its managed connectivity platform; Telenor launched a LoRA network (to promote student, start-up and developer innovation in Norway); and, SigFox partnered with GCT Semiconductor (with encouragement from Telefonica, Telia and T-Mobile) to launch a new, dual-chipset that is compatible with both cellular and SigFox LPWA technologies. These developments acknowledge the reality that IoT devices and sensors will employ a wide variety of access technologies so that a credible, enduring strategy has to accommodate heterogeneity. The upcoming challenge for IoT solution and service providers is to cater for connected devices and other data sources that don’t primarily rely on wireless connectivity, as highlighted in the plans of SK Telecom . For all the hype surrounding IoT opportunities, two developments showed us that it takes time to progress from concept to operational launch. In 2017, Nokia unveiled a range of digital health gadgets for sale via consumer retail channels. This happened about a year after Nokia’s April 2016 acquisition of Withings. Vodafone also delivered on a year-old promise from its CEO to enter the consumer IoT market. Vodafone launched a range of offerings under the ‘V by Vodafone’ signature. A slightly different perspective on IoT pragmatism links two Telenor-related developments. In April 2017, Telenor Norway entered into an agreement with Cisco Jasper to power its enterprise IoT offering. A few months later, a different part of the Telenor Group, its Connexion business, collaborated with China Unicom to present a common, IoT Open Platform allowing each company to serve their respective customers by providing access to their respective networks using eUICC, the latest generation of SIM-card technology. These developments illustrate the importance of distribution channel and technology leadership strengths in brokering individual commercial deals. As far as promising developments to watch in the year to come, let me highlight two corporate initiatives. One is Apple’s entry into the industrial market through a partnership is announced with GE during October 2017. To some extent, the success of this effort rides on how GE decides to structure its IoT efforts under its new CEO and financial targets . The second is Samsung’s launch of a data metering service as a means of enabling device makers to deploy and control their own monetization models. These two developments signal moves up the IoT value stack which is where all companies should be devoting some portion of their corporate innovation efforts.